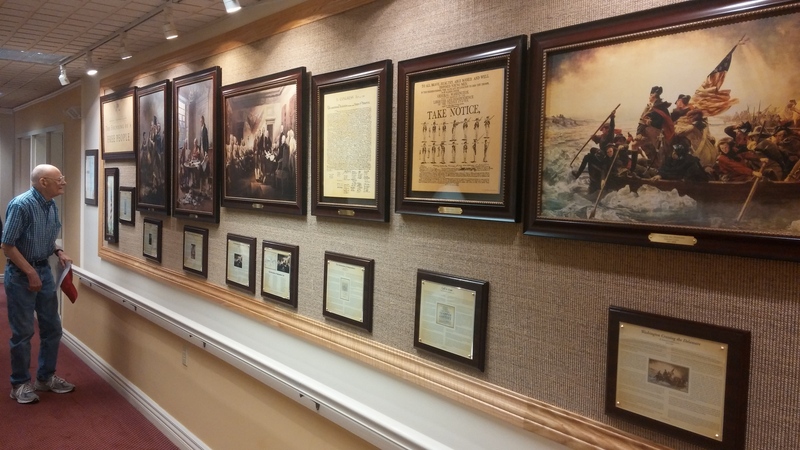 The Freedom Gallery is a series of twenty-three (23) beautiful, historic paintings and replicas of founding documents telling the story of America's Freedom. Roots of Freedom also offers an educational kit for teachers to use in instructing students about the documents and pictures in the Freedom Gallery. Consisting of three sections, the gallery chronicles the events and painful process of America’s freedom. Section One documents our Founding Fathers’ desire to separate from Great Britain. Section Two takes us through the triumphant days of the American Revolutionary War. Finally, Section Three explores the process of becoming a free people through multiple failures and ultimate successes. 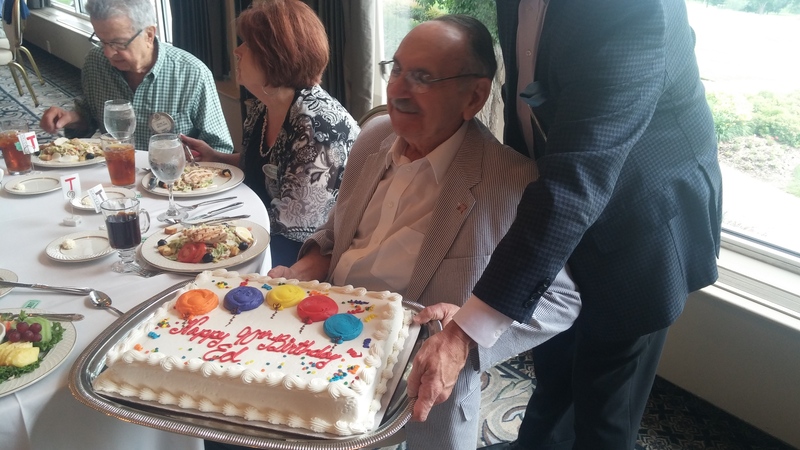 On July 1, 2015, due to a generous donation by former member Ed Moore in celebration of his 90th birthday, The Exchange Club of Omaha was proud to dedicate a Freedom Gallery to Bloomfield Forum Senior Living. 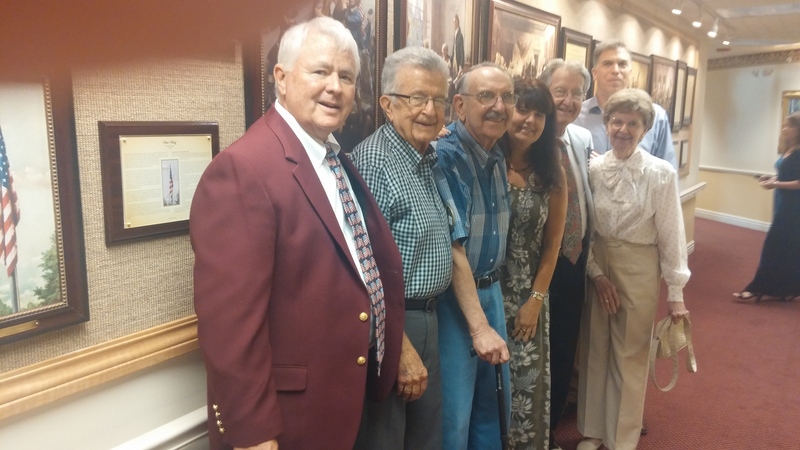 A complete program, including a special guest speaker (our own "Relentless Warrior" Dennis Pavlik), and a delicious barbeque lunch were followed by viewing and pictures. Tuesday, February 18, 2014 the Exchange Club of Omaha presented a Freedom Gallery to Concordia Junior/Senior High School during a program at an all-school assembly. 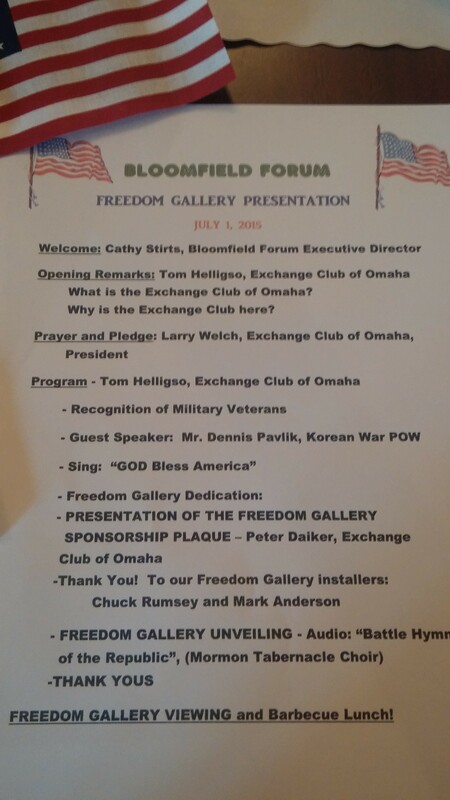 The Omaha Exchange Club presented a Freedom Gallery to Girls and Boys Town on Tuesday, April 17, 2007. The presentation was made at an all-high school assembly to Father Steven Boes, Girls and Boys Town Executive Director. Tom Helligso, President of the Exchange Club’s Heartland District and Lee Handke, President of the Exchange Club’s Omaha Chapter presented a plaque dedicating the Gallery. The Freedom Gallery is displayed in the Girls and Boys Town High School main floor near the library. “This helps our students learn, appreciate and carry on all our Founding Fathers have provided for us,” Robert Gehringer, Ph.D, Principal and Superintendent of Girls and Boys Town Schools said.